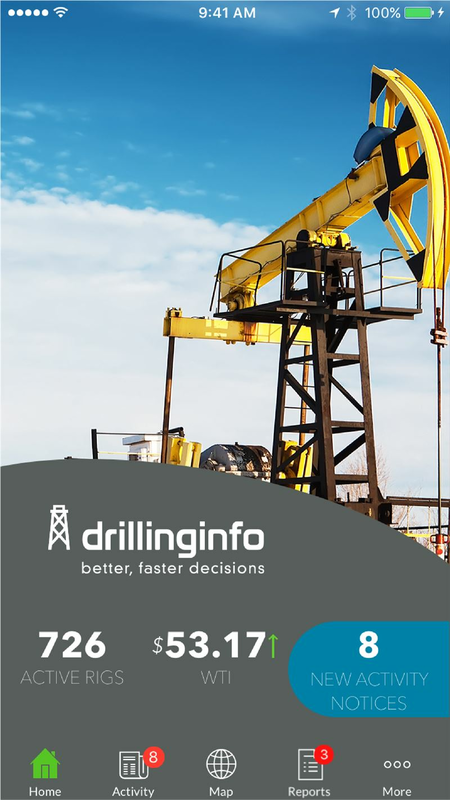 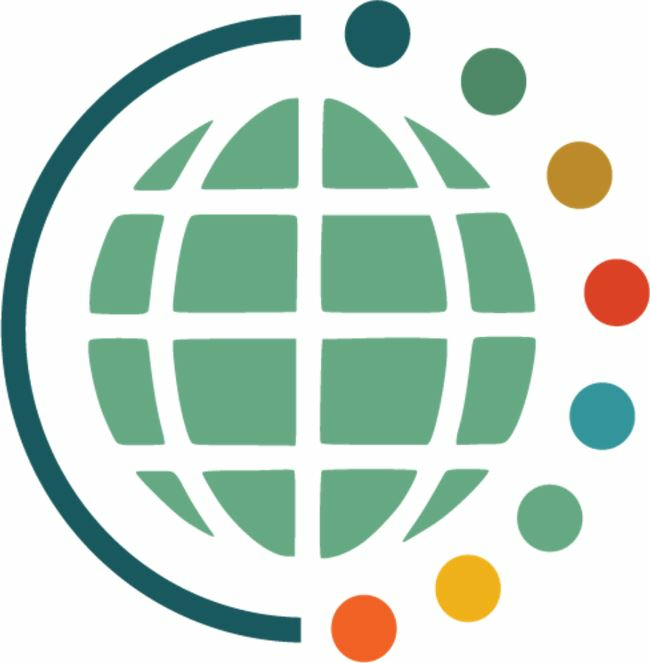 Knowledge is power and enabling E&P (Exploration and Production) and OFS (Oilfield Services) companies to act faster and make better decisions is Drillinginfo’s charter. 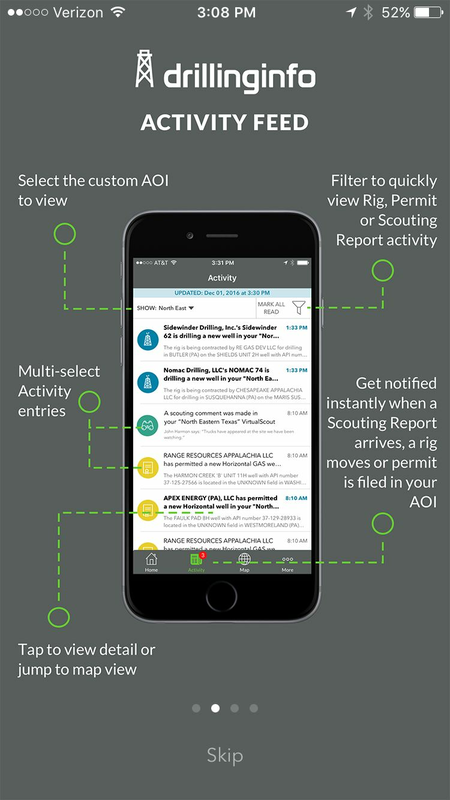 The Drillinginfo mobile app extends the power of the leading oil and gas data and analytics platform beyond the office walls to any Android or iOS device. 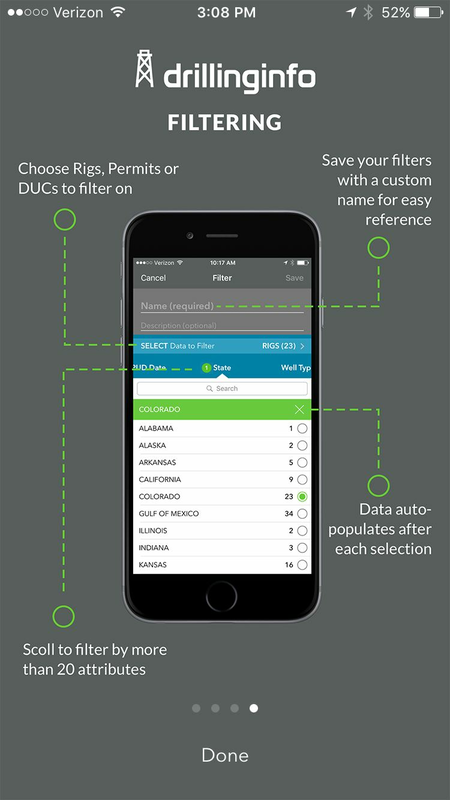 Drillinginfo continues to disrupt the status quo by replacing legacy and inefficient paper based workflows with automated proactive monitoring, mobile collaboration tools, and leading-edge proprietary information. 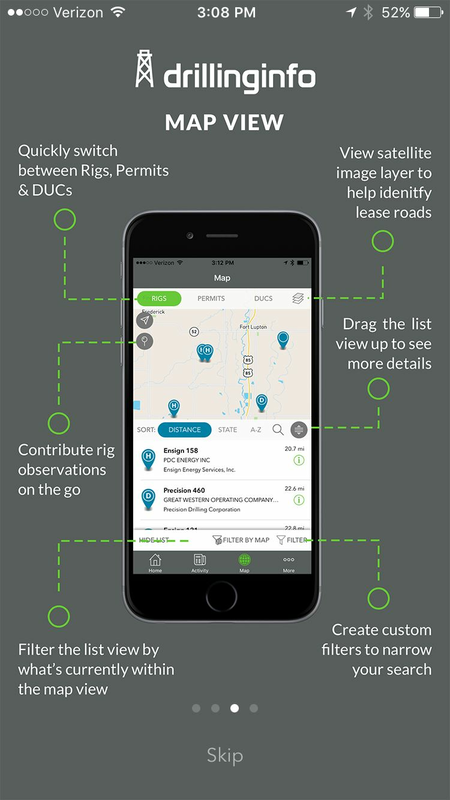 This app is the only mobile tool delivering real-time updates, personalized notifications and actionable intelligence in the oil & gas industry. 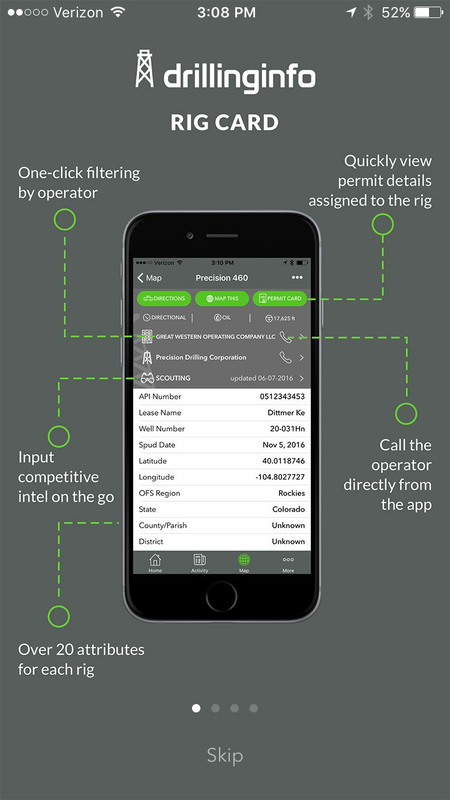  Through the Drillinginfo mobile app, customers are empowered to be the most informed player with minimal effort, allowing them to only focus on opportunities that matter and have a true competitive advantage 24/7.